Tajikistan. 2009. In the village of Shohi Safed by the Zerafshan river. Muholol "General" Ahmedov (73), picking currants from a tree. 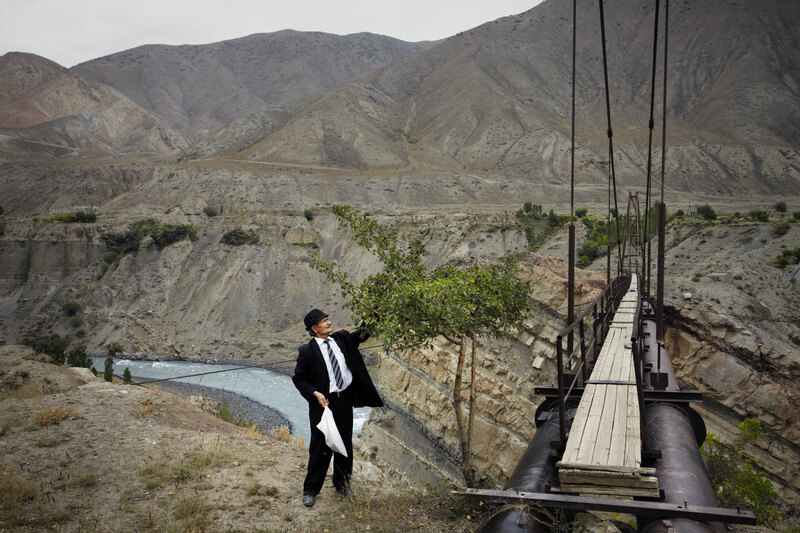 Next to him are two water irrigation pipes that span the Zerafshan river.